Words really cannot describe the extent of the positive experience my wife and I had dealing with the Men in Black. From start to finish the MIB were extremely responsive, informative, helpful and wonderful to deal with. 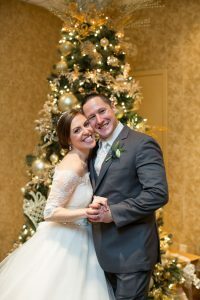 The amount of information they had and suggestions in helping to form the ceremony made our lives so much easier and allowed us to focus our time and energy in other aspects of the wedding. The guys are extremely detail oriented and organized which allowed for a flawless ceremony that our guests raved about. They listened to our wants and needs and time constraints and formulated a perfect religious ceremony that mirrored our personalities and humor. The timing, the feel, the readings, the music and the little jokes they told about created the perfect balance between a normal mass and casual setting. In short, these guys are absolute pros at what they do. They are caring, funny, professional, reliable and very well organized. I would recommend them to anyone from any background looking to tie the knot. It was an honor and a pleasure working with them and I would highly recommend them to any of my friends or family members looking to marry.